The Glossary of Common Knowledge (GCK) is a compilation of art terminology that differs substantially from what is found in the existing literature on art. It was a five-year research project by Moderna galerija (MG+MSUM) in the frame of L’Internationale. In collaboration with institutions and individuals from Europe and other parts of the world, 66 contributors/narrators proposed terms relating to their own practices and contexts, to historical references, political or social situations or L’Internationale projects. The terms were discussed and defined on six seminars dealing with six referential fields (historicisation, subjectivisation, geopolitics, constituencies, commons and other institutionality) and the book follows these topics in six chapters. Narrators created a plurality of voices and narratives which examine the proposed terms and add their different viewpoints, bringing with them overlooked, suppressed knowledge and also non-Western categories of thought and memories. This method enabled different ways of participation, sharing and using the knowledge and working together trans-globally. 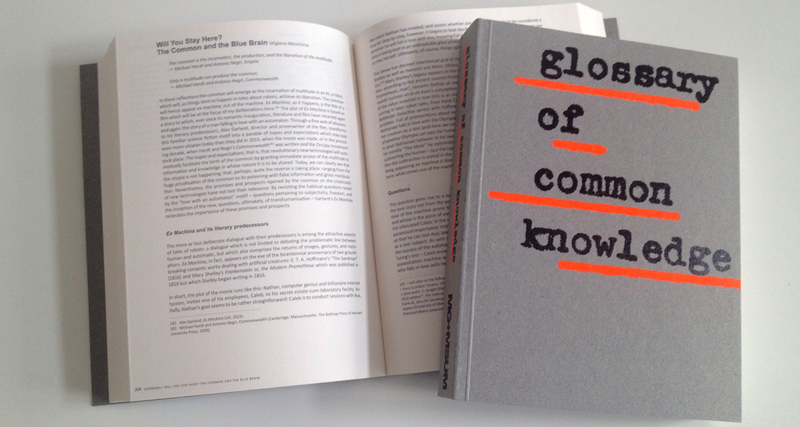 Glossary of Common Knowledge was curated by Zdenka Badovinac (Moderna galerija, Ljubljana), Bojana Piškur (Moderna galerija, Ljubljana) and Jesús Carrillo (Museo Reina Sofia, Marid, 2012-2016), the book edited by Ida Hiršenfelder, and published by Moderna galerija. Constellations of Knowledge, Politics and Mediation. A Generator of Social Change. 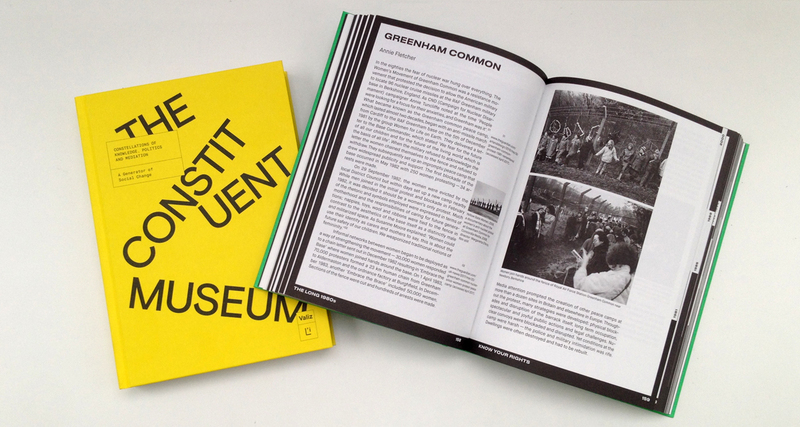 The Constituent Museum is inspired by the question What would happen if museums put relationships at the centre of their operation. This publication offers a diverse, rigorous, and experimental analysis of what is commonly known as education, mediation, or interpretation within museum institutions. It takes the visitor not as a passive receiver of predefined content, but as a member of a constituent body, who it facilitates, provokes and inspires. Key issues of the publicaton are reciprocity, activation, structures and negotiation. The contents is structured within five parts: Becoming Constituent, Architecture of Use, Pedagogies of Encounter, Distrubuting Ownership in Archiving and Collecting Relationships, essays and case studies are written by 46 contributors from all over the world. The introductory fiction text is written by Irish writer and curator Francis McKee. Moderna galerija's activities are presented with projects such as Radical Education, Every Man is a Curator, Museum of Contemporary Art Sarajevo 2000 and Museum Solidarity Lobby by Azra Akšamija in the exhibition Stopover 1:1 and work with the migrants by Bojana Piškur, Tjaša Pogačar Podgornik, Igor Španjol and Adela Železnik. The editors are members of the confederation L'Internationale: John Byrne (John Moores University, Liverpool), Elinor Morgan (Middlesbrough Institute of Modern Art), November Paynter (Museum of Contemporary Art, Toronto), Aida Sánchez de Serdio (Universitat Oberta de Catalunya) in Adela Železnik (Moderna galerija, Ljubljana). The book is published by Valiz. The Long 1980s. Constellations of Art, Politics and Identity speculates on the significance of the 1980s for Europe today. Central to the book is the thesis that the 1980s brought a fundamental reorientation in the relationship between the civil society and the state - or governments and their publics - with the effects of this shift coming to shape our contemporary condition. Art and culture played a central role in responding to, pre-empting or articulating these changes across a wide range of practices spanning art, design, music and much more. Drawing on extensive research carried out by partners of the museum confederation L’Internationale, combined with transversal essays by commissioned writers, ‘The Long 1980s’ offers new readings of the decade through constellations of art, politics, and identity. The reader is structured into four sections: No Alternative?, Know Your Rights, Processes of Identification in New Order, each further one divided into two parts. A constellation of over seventy micro-histories, ranging from significant exhibitions or events to publications or key essays are presented across the four sections, spanning the different contexts out of which the research developed: Belgium, Catalonia, the Netherlands, Slovenia, Spain, Turkey and the UK. These case studies are presented through a rich combination of archival material, reproductions or reprinted texts with introductions by curators, historians, and theorists. Among 59 contributors there are ten from Slovenia: Zdenka Badovinac, Božidar Flajšman, Tea Hvala, Gal Kirn, Neža Kogovšek Šalamon, Aleš Mendiževec, Ana Mizerit, Nataša Petrešin - Bachelez, Bojana Piškur and Igor Španjol. 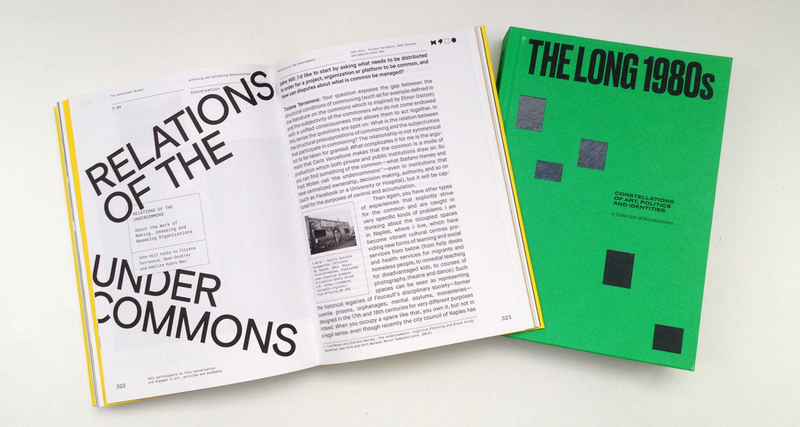 The editors are members of the confederation L'Internationale: Nick Aikens (Van Abbemuseum, Eindhoven), Teresa Grandas (MACBA, Barcelona), Nav Haq (M HKA, Antwerpen), Beatriz Herráez (Museo Reina Sofia 2012 - 2016) and Nataša Petrešin - Bachelez (chief editor of the online platform L'Internationale Online 2014-2017). Co-editors are Merve Elveren (SALT Istanbul and Ankara) and Adela Železnik (Moderna galerija, Ljubljana). The book is published by Valiz.